Spring is here, flowers are blooming and wildlife abounds. 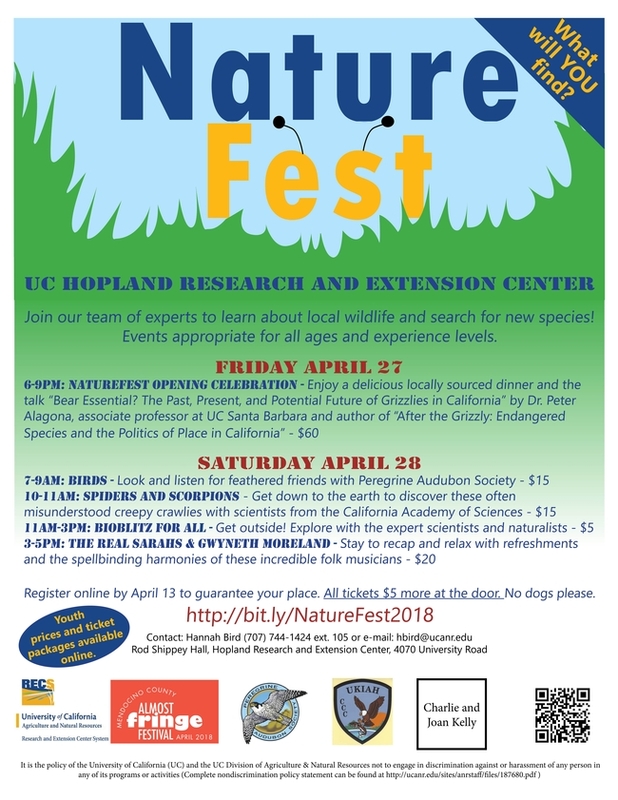 The UC Hopland Research and Extension Center (HREC) is inviting the community to join NatureFest on April 27 and 28 to revel in the joys of the outdoors! NatureFest brings together scientists, researchers and the community in a variety of experiences to enjoy the biodiversity found in the oak woodlands of Northern California. The celebration will begin with a delicious locally sourced dinner and the talk “Bear Essential? The Past, Present, and Potential Future of Grizzlies in California” by Dr. Peter Alagona, author and associate professor at UC Santa Barbara on April 27. Activities will continue bright and early on April 28 with the opportunity to join bird watching hikes with Peregrine Audubon Society and to explore the leaf litter of the woodlands in the search for scorpions with Dr. Lauren Esposito of the California Academy of Sciences. From 11am-3pm on the 28th scientists, naturalists, volunteers and community members of all ages are encouraged to join the “Bioblitz for All” in search of new species. At 2:30pm, as the Bioblitz draws to a close participants are encouraged to join John Griffith of the California Conservation Corps for the bioblitz dance, this dance has become a social media sensation and every participant is welcome to bring their own personal dance moves to add to the event. Folk musicians The Real Sarahs and Gwyneth Moreland will help attendees to relax after a day in nature with organic harmonies that enchant and uplift the spirit from 3-5pm. These singer-songwriters create magic with voices in harmony, acoustic instruments, and the energetic connection between artists and audience. With a breadth of influences, you are likely to hear threads of folk, jazz, blues, and country running through their songs. Visitors are encouraged to join any or all of the events during the weekend.  The events are suitable for a wide range of ages and experiences. Photographers will have an opportunity to display their skills during a competition for the best pictures taken during the weekend. Prizes will be given not only for the best pictures of wildlife but also for pictures that express the wonder and awe of nature. “We hope that NatureFest will include all those who enjoy getting outdoors and observing nature – from the roly poly researching toddler to the keen gardener, hiker or aspiring teen wildlife biologist,” Bird said. Tickets prices vary from $5-$60 for the different events, all prices are listed at http://bit.ly/NatureFest2018. Registration in advance is encouraged, all tickets are $5 more on the door. April 23rd is the deadline to register for the Friday April 27 dinner. Registration can be made online or by calling Hannah Bird at (707) 744-1424, Ext. 105. All events will begin at the Rod Shippey Hall, 4070 University Road, Hopland. NatureFest is supported by Charlie and Joan Kelly, VisitMendocino, Peregrine Audubon Society, 4-H, California Conservation Corps, Terra Savia, Blue Quail Wine and The California Naturalist Program.